"Every Child Deserves the Joy and Magic of Christmas"
Donations Keep Santa Cop Going. Please Consider Donating Today. 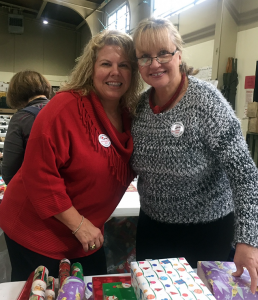 Join us for the wrapping party, or other great events! In addition to our toy drive, we now accept financial contributions by check only. 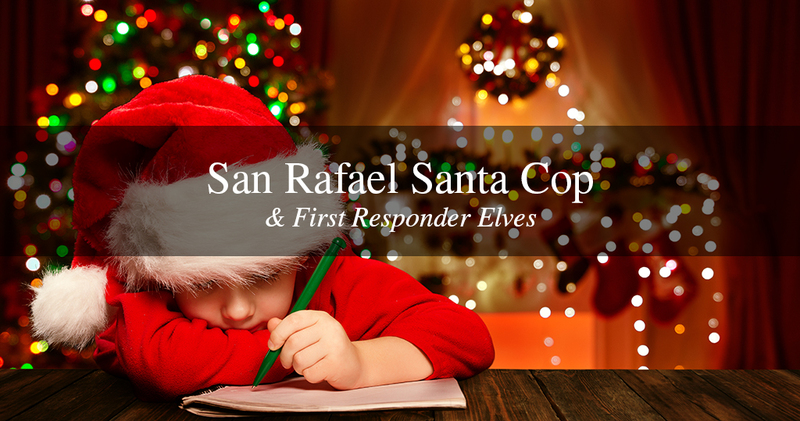 San Rafael Santa Cop is a not-for-profit charitable organization as defined in section 501 (c) (3) of the Internal Revenue Code (Tax ID 20-5006892). 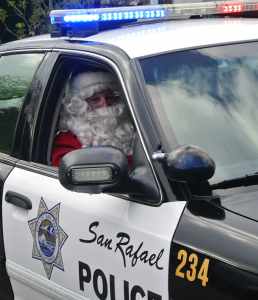 Donors may deduct contributions to the San Rafael Santa Cop organization as provided in section 170 of the Internal Revenue Code. Bequests, legacies, devises, transfers, or gifts to the San Rafael Santa Cop organization are deductible for Federal estate and gift tax purposes if they meet the applicable provisions of sections 2005, 2106, and 2522 of the Internal Revenue Code. We can pick up your donations if they’re too large for a donation barrel. Call the TOY BARREL HOTINE at 415-870-4016 to arrange for a pick up or request a donation barrel or use the e-mail links below. Click here to contact Dan Hanlon to arrange for a pick up. Help us keep the magic of Christmas Alive for the Children! Infant toys: Fisher Price Laugh & Learn, Baby’s First Blocks, VTech toys, Leap Frog & Little Tykes toys. Put your business on the map! Contact us to host a donation barrel this year. The program was interested in helping children who were missed by other programs, and who were not going to have Christmas due to circumstances beyond their control. The Police and Fire Departments, through their community contacts, are familiar with children who are from families with difficult financial situations as well as difficult family situations. The high cost of living and jobs with lower pay rates in San Rafael cause added burdens of raising a family in this area. The San Rafael Police Department, San Rafael Fire Department, and the North Bay Footprinters saw this need to help these less fortunate children. 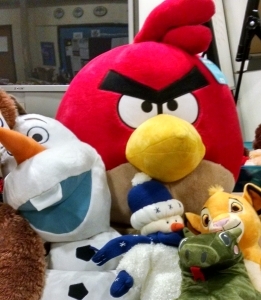 They formed a group that collected toys and food and distributed these at Christmas time. In the second year of the program, money was collected to buy a set of clothes for each child. 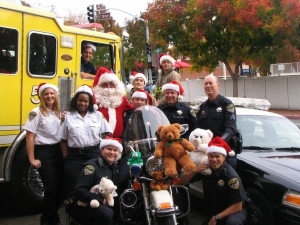 The backing of the City of San Rafael and its businesses and residents kept this program growing and in 2005, they provided toys, food, and clothing for over 600 children. Many of these children are from the Head Start and The Marin Abused Women programs. The families are required to complete an application to ensure they fit the requirements. All families are cross checked to make sure they are not receiving aid from other programs for the Christmas holiday, and that they are truly in need. The program has been lucky enough to collect all of the toys and money through word of mouth within our community. All toys and clothing are gift wrapped by volunteers prior to their delivery to the families. In 2005, over 150 people wrapped the gifts. The Marin Food Bank has donated a holiday meal and food for us to distribute to the families we serve. Personnel from the Police and Fire departments as well as volunteers from the Footprinters deliver the gifts and food to each recipient’s home. When a uniformed officer or firefighter knocks on their door, there are emotions of confusion to joy. This interaction between the safety officers and the community builds a bond and trust that is priceless. The families are receiving assistance during a time it is needed the most. The trust and confidence it builds between the families and the safety officers can last a lifetime. 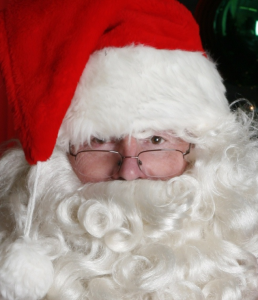 Santa Cop is run entirely by volunteers. There are no paid personnel or positions. There are also no charges or any money or services ever requested from a recipient family. The largest expenditure is for clothing and a few supplies such as wrapping paper. The focus of the program is to collect and donate within the city of San Rafael so we can build a better community. Santa Cop will keep the magic of Christmas alive for the children as long as there is a need. Our aim is to make the holidays a little happier for the many children who have no control over their own circumstances. Every child deserves the joy and magic of Christmas. © Copyright 2015 - | All Rights Reserved | Powered by Alex Holm Web Services, San Rafael, CA.